Wearable gadgets slowly became a part of our lives. The first models were only tracking the number of steps the users have taken or the pulse of the person wearing them. Thankfully, technology si constantly evolving and so are our gadgets. The smart wearables we now have are quite amazing, especially for active people. Now, thanks to FMTwo Game Inc., gamers have their own smartwatch, the Gameband. To be more precise, they will have it, because at this point it is only a Kickstarter project. Given the fact that it already managed to raise more than 250% of its initial goal, it’s safe to say that this little gadget will become reality in the near future. What makes the Gameband so different from other smartwatches? Firstly, its retro gaming design makes people notice it. 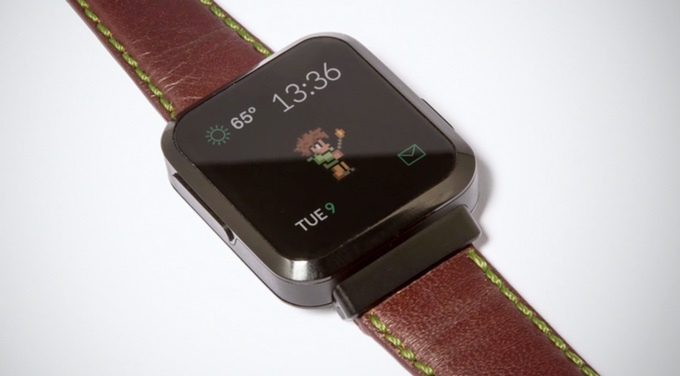 The smartwatch has a minimalistic design with a square watch face and a leather or a plastic band. Besides the great looks, it also has a whole lot going on under the hood. The Gameband has a powerful, Qualcomm Snapdragon 2100 processor, and a microSD card slot that supports up to 128GB of external storage. This is a one of a kind feature in smartwatches. Not even the flagship devices offer this feature. 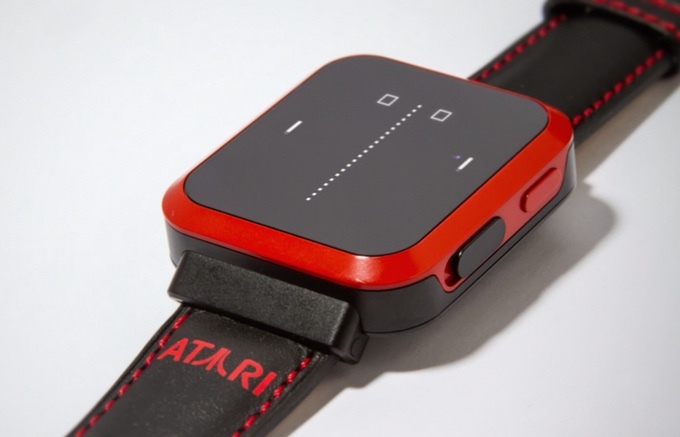 As its name suggests, the Gameband was made for gamers. This explains the choice of the manufacturer to ditch a number of sensors and other components you would normally find in a smartwatch, and focus on battery and storage instead. of course, the fast processor was a must have for this gadget. The up to 128GB microSD card supported by the device can host a great number of games, photos, music, and other content. The smartwatch also has a USB 3.0 port. Thanks to this, it can be easily connected to laptops, PCs and other devices. This way, users can access the games on the microSD card from their computers. And this is what makes Gameband the ultimate gadget for gamers. Those who want to fund the project can get their hands on one of these smartwatches for prices starting at $149. The retail price of the smartwatch is $199. This is already a good price if we compare it with other smartwatches with the same processing speed. The smartwatch runs on Android Wear and it will start shipping as soon as September 2017. The crowdfunding capaign ends on March 17. If you would like to back the project, you can do it until then. Huawei and LG Building Google’s Smartphone?